We are proud to present a second guest post by Dr. Lon Kilgore. This is Part Two; you can read Part One here. Is this a full squat? 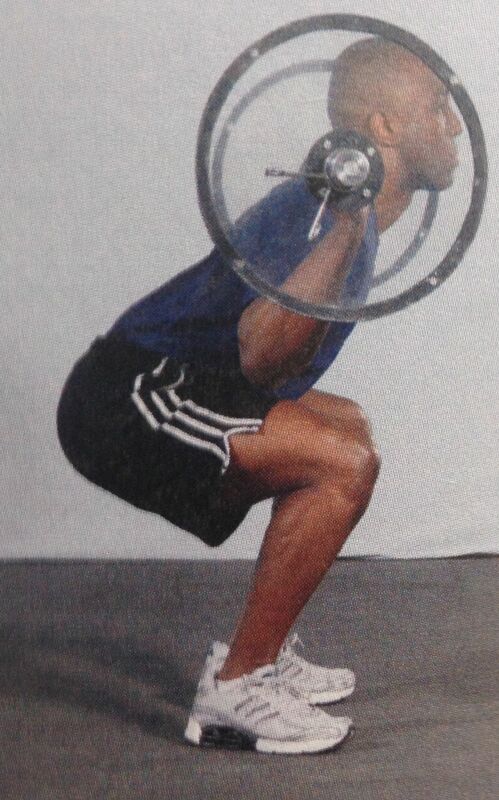 The NSCA’s textbook presents this as a squat to “parallel” with proper back position. Interrogative: What should professional fitness trainers teach their trainees about back position during the squat? 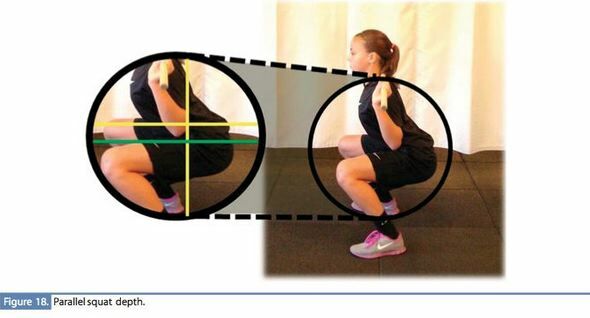 Analysis: For instruction 1, this orientation implies that since the squat motion, as described in the derivative text, begins with the torso perpendicular to the floor, that this perpendicular back position is held throughout the exercise. Instruction 2 suggests a perpendicular orientation but infers that deviations from upright can be acceptable. Instructions 3 and 4 clearly imply that a forward lean is correct, with instruction 4 going so far as to provide a range of deviation from vertical that is descriptive of a correct squat. Instruction 5 is visually derived from NSCA branded video instruction on the squat. Instruction 6 contradicts instruction 4 and 5 and suggests deviations from vertical are not correct technique. Summary: NSCA publications referencing back position during the squat are sufficiently incomplete, contradicting, and confounding to a point suggesting that any back orientation during the squat may be acceptable. Commentary: The self-proclaimed world authoritative materials promulgated by the NSCA are inconsistent in recommendation, incomplete in scientific support, lacking definition, inadequate in anatomical description, and impractical in application. The said publications and recommendations create an environment where education of professionals on back position in the squat is inconsistent. 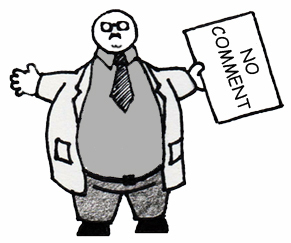 The authorship, editorial, or graphical issues present may ultimately have negative effects on individual fitness results and the safety of the public, as correct technique cannot be reliably determined from the published position statements, texts, and videos. Dr. William Kraemer, editor in chief of the NSCA’s Journal of Strength and Conditioning Research.